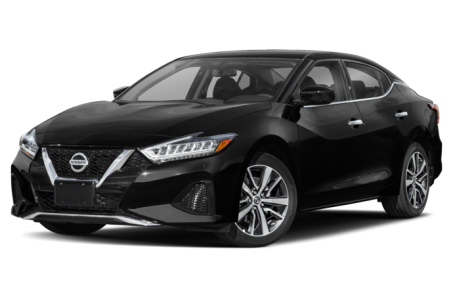 The 2019 Nissan Maxima is an upscale, full-size sedan that competes with the Ford Taurus, Toyota Avalon, and Dodge Charger. It is powered by a standard 300-hp, 3.5-liter V-6 engine mated to a continuously variable automatic transmission (CVT). Fuel economy for the Maxima is an EPA-estimated rating of 20/30 mpg city/highway. Five trims are available: S, SV, SL, SR, and Platinum.